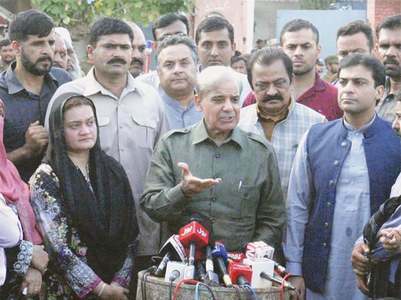 PML-N President Shahbaz Sharif on Saturday said that Prime Minister Imran Khan had announced to form a parliamentary commission to probe the opposition's allegations regarding rigging, “but three weeks have passed but the commission has not been formed yet”. 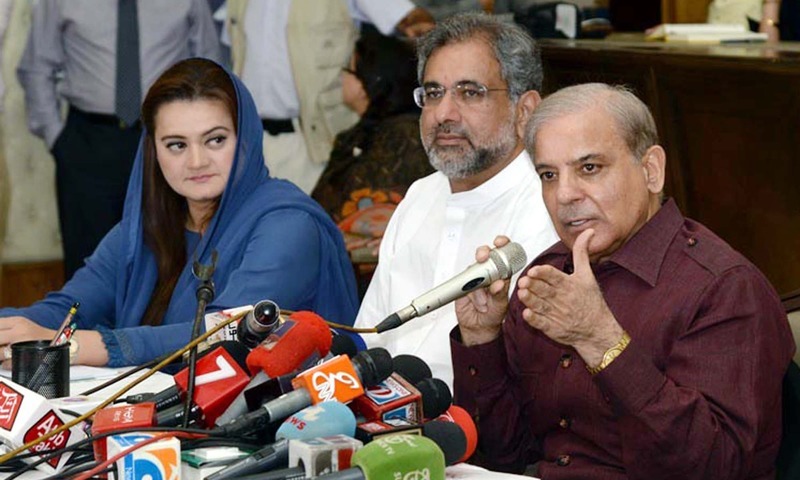 Addressing a press conference in Lahore — flanked by former prime minister Shahid Khaqan Abbasi, and former ministers Ahsan Iqbal and Marriyam Aurangzeb — the former Punjab chief minister also criticised that the PTI-led government has increased the prices of electricity and fertilisers in the first 20 days of its tenure. Shahbaz Sharif further claimed that the people did not elect Imran Khan, instead “he secured power through rigging”. Commenting on the accountability and austerity measures initiated by PM Khan, Shahbaz Sharif alleged that advertisements worth millions were given for the auction of luxury cars, adding that “accountability should be held across-the-board”. Regarding the call for donations for the Diamer-Bhasha dam, he said that there was no need to make an appeal for funds, instead, "the investors should be encouraged to invest in the mega project". 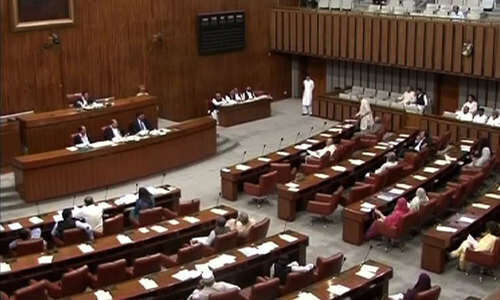 The minister said the government was ready to constitute a commission but the opposition has not yet submitted Terms of References (TORs) to probe the alleged rigging charges. 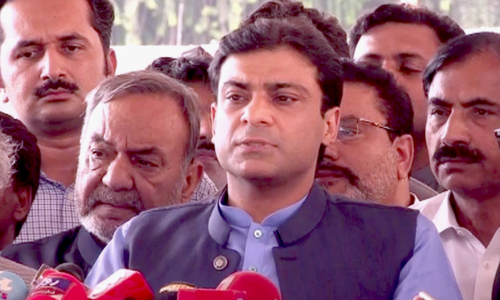 He regretted that the opposition was using the issue of election rigging as a political stunt, that too without producing any concrete evidence in this regard. “The opposition should better present concrete proposals to probe the alleged rigging,” Chaudhry maintained. If you guys had set the prioriities right the dam would have been constructed right now, you build up 1,188 billion in power sector circular debt and withheld Rs 130 in gas price differentials to be passed to the consumer by the next govt. You also produced a budget to further sink the country down !!! Fully agree with Mr Sharif about the need for an independent parliamentary committee or commission to supervise the election rigging issue. What is stopping them from putting forward a proposal in the parliament? If it is rejected, then they have some grounds to complain. Crocodile's tears and more tears without any positive proof of so called 'Dandili' - this is all part of politics and be in the news. Shahbaz is the rightful PM, not the cricketer. He was good for nothing. He squandered billions on showcase projects but nothing on power and water. Water is life. Mr SS, What were the findings of the Parlimintary body set up by the government after the claims that 2013 elections were rigged? Shahbaz Sharif pops up after weeks of silence to unfairly criticize the PM because he has nothing to offer and has become irrelevant. If he believes that the elections were rigged, then he should resign from his NA seat along with his cohorts. He knows well that he will be going to jail soon for his corrupt practices. The day of reckoning is here now and he will be held accountable along with his family for abuse of power and for blatant violation of public trust during 35 years which has ruined the country. These fealthy PMLN and PPP have nothing to with basic need which they failed to address. greedy for power to earn money for themselves. Pakistan is bad situation, they are crying for rigging and power. They should go Election commission, supreme court. He PMLN has it's day. They should go.home and relax. They have done enough damage. People are.not interested in listening to their complaints. Everyone knows how corrupt they are and the damage they have done to this country. Why should he? There was no such thing as rigging. The prince of rigging is complaining that he was not allowed to stuff the ballot boxes. IK should have a huge billboard showing the debt the sharifs have left. How stupid does Shahbaz think Imran Khan is? No need to listen them. I am looking forward to the promis made by PM khan to put them all in jail. 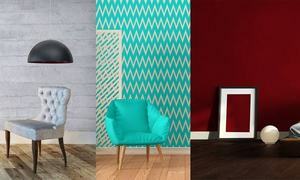 Mr.Sharif,its too early to criticize.Let's give them some time to organize their offices. There was no rigging in elections. There should be no commissions of inquiry. Do not waste time and money. Lock-up these trouble makers. First answer to the public why you left such a huge debt and such high loans. Imran Khan must do all that is necessary to stop corruption and nepotism left by the previous governments. I am sure he and his cabinet is working hard to get back all the money that was looted and stashed overseas by the leaders of previous governments. Answer about Hudabia paper mills, soon he will be behind bars like now incarcerated Nawaz. He did mega corruption along with his family did during decades of Rule though corruption and deception. So many millions suffered due to Nawaz and Zardari mafias, people left Pakistan to make a living because everything was looted from them and put in offshore companies. I would worry more about all the corruption cases against you, your family and your party sir. Stop blaming Shabaz Shrief. Give him time to settle down. He is PM only for less than a month. It is not personal but a nature's cycle for the change. All Shahbaz Sharif can do is criticize the new government, his party lost the election, his opposition coalition lost the President election, he’s got nothing better to do. Maybe Shahbaz Sharif can try coming up with good ideas and present them in a positive way, considering his party has left the new government with a long list of financial issues that will take years to resolve. Plz let PM Imran Khan work zealously and devotion. Your demand for probe of rigging in election will be met later, first kindly let the investigations complete on corruption and money laundering. Your patience will be greatly appreciated. Losers are irrelevant in New Pakistan. Wait for a century for your turn. No need to form the body, what goes around comes around. @Magnanimous approach - let PM work just like IK did when he lost the 2013 elections, right? Having tasted a few steps and days of the Naya Pakistan, imaging you coming to power again feels like a nightmare. We are also waiting for Model town massacre culprits brought to justice and looted money brought back to Pakistan. IK raised hue and cry against rigging in elections 2013 and stagged dharna for 126 days. After elections 2018 he said he will investigate all rigging allegations. It's his moral obligation now to investigate rigging allegations, the same issue for which he stagged dharna and mobilized massaes. Shabaz Shrief, let new government settle down a little bit before you raise your objections. How quickly did you take steps for model Town tragedy ? @Concerned 1, what is included in Punjab other than Lahore's few roads? Guys lets inovate a little bit same o same o.. issues rigging etc.. if it happend it happend.. what can you do.. when you were in assembly what did you do to fix it.. world is round whats goes around comes around hearld that before..
they still don't get it, you can win an election by just counting the votes and not rigging. He should be worried about corruption cases against him. Criticizing is easy but doing some constructive work is hard.